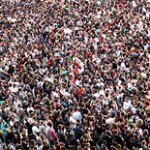 Are you lost in the sales job crowd? Google recently announced that they are looking to expand their workforce. How many positions do you think they have available? 500? 1,000? Wrong. Google needs to fill 6,000 positions in 2011. 6,000 seems like a lot of jobs, right? There should be plenty of opportunities to go around, right? Wrong. The tech giant received 75,000 applications in a week. 75,000. It’s difficult to even comprehend that many résumés, let alone the process of sifting through them to find the lucky candidates who will be called in for an interview. Although not every job has an applicant pool of tens of thousands of people, it’s still a good idea to find a way to distinguish yourself from the rest of the herd of sales jobseekers. How are you making a lasting impression on employers? At TeneoTalent, we help you navigate the sales job search process by providing career advice, career coaching, résumé writing, and our own unique career matching process to make sure you end up with the sales job that’s right for you. Whether you are a veteran sales leader or a budding sales genius, take a moment to get started with TeneoTalent and leave the networking to us. http://TeneoTalent.com offers a new process of sales recruiting that uses sales assessments for both employers and job seekers to create long term fits. We also offer career development tools through our sales career coaching program, including resume writing. We offer career advice, career matching and, although our organization has a national focus, we have many sales jobs available in Colorado at the moment.